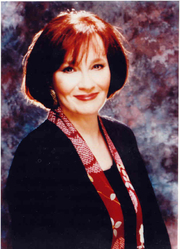 Mary Jo Putney has also published fantasy romance novels as M.J. Putney. Meet local authors and support The Baltimore Bibliophiles during Book With Us at Greetings & Readings on Wednesday, October 11, from 6 to 9 p.m.
Panel – Did We Win? Mary Jo Putney's book Dark Mirror was available from LibraryThing Early Reviewers. Mary Jo Putney's book Nowhere Near Respectable was available from LibraryThing Member Giveaway. Mary Jo Putney is currently considered a "single author." If one or more works are by a distinct, homonymous authors, go ahead and split the author. Mary Jo Putney is composed of 12 names. You can examine and separate out names.